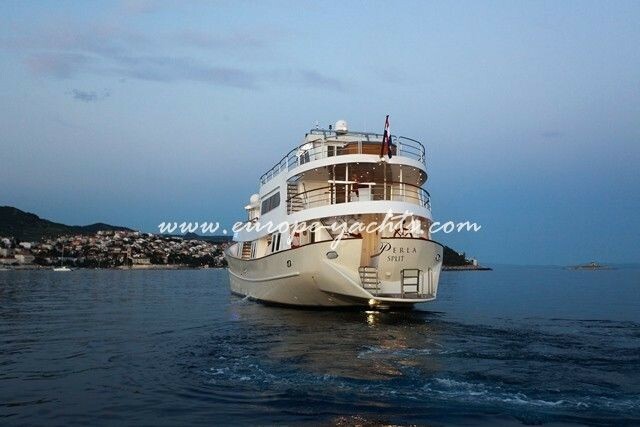 Luxury cruiser – La Perla in Croatia is a veritable floating five-star resort, intended for those who wish to sail in the fullest of comfort and indulgence. 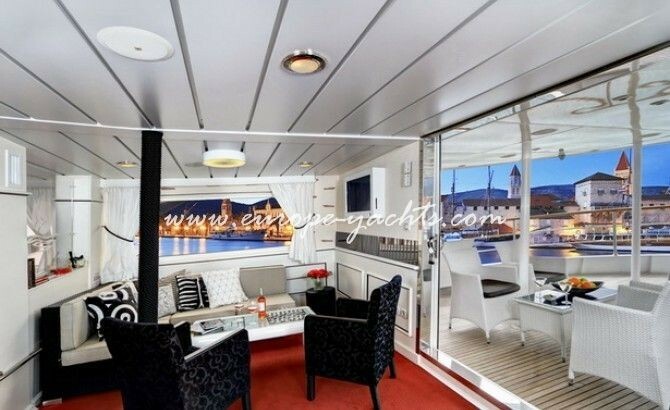 With an incredibly high-class exterior appearance, you will feel like a high-rolling jet-setter from the moment you lay eyes on luxury cruiser La Perla, and start your cruising in Croatia. 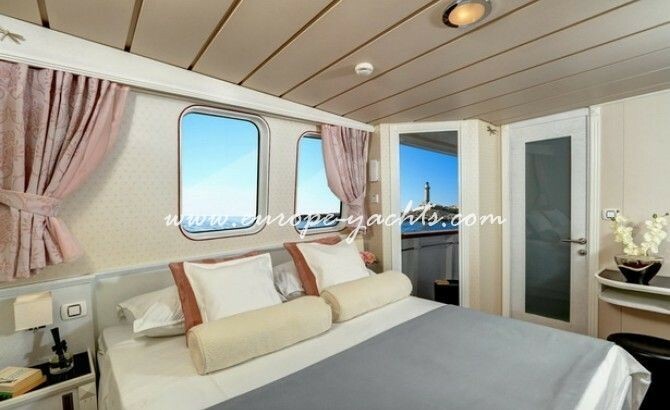 With solid construction, excellent tilt and unmatched stability, you will feel at peace and at home. 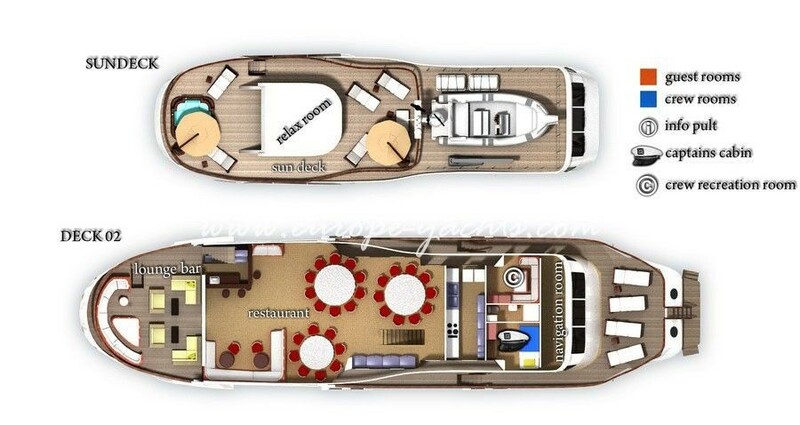 All the cabins in luxury cruiser La Perla have been equipped with full amentites including disposable LCD with satellite, in-house telephone, fully-functioning audio system, private air conditioning and wireless internet. 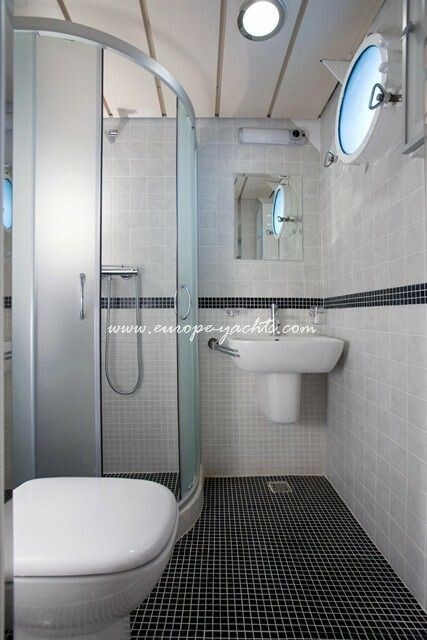 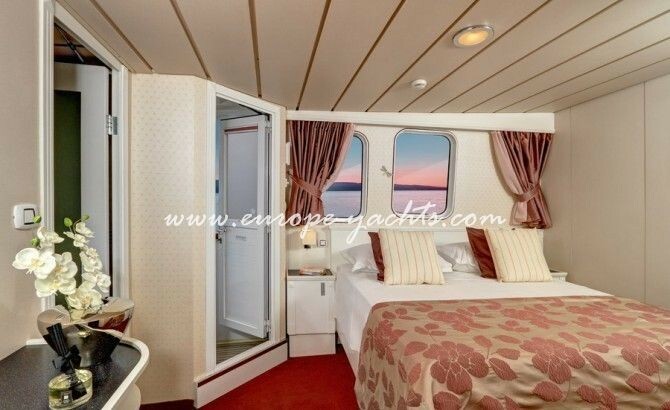 Eight of the cabins on luxury cruiser La Perla contain a private balcony and each cabin contains also personal bathroom and big, bright windows for an ocean view. 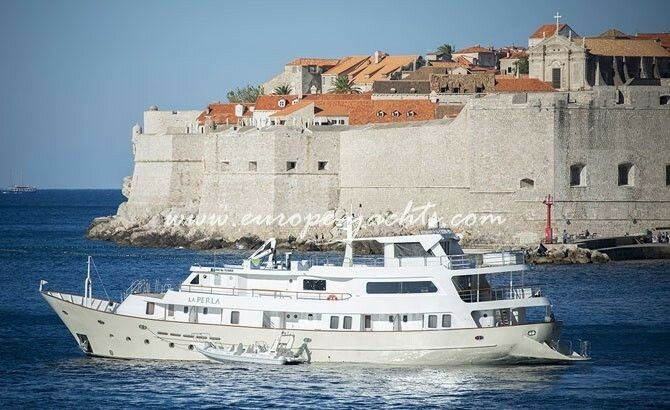 Whether you are above on the fly bridge or waiting in your cabin, you will have front row seats to look at the lovely port towns, lighthouses and natural island beauty as the luxury cruiser La Perla docks while cruising in Croatia. 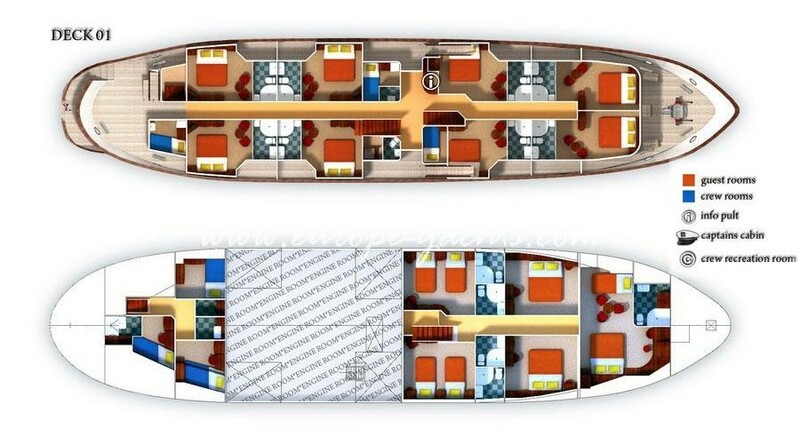 All cabins are also heat-proofed and sound-proofed, allowing you the fullest of comfort and privacy. 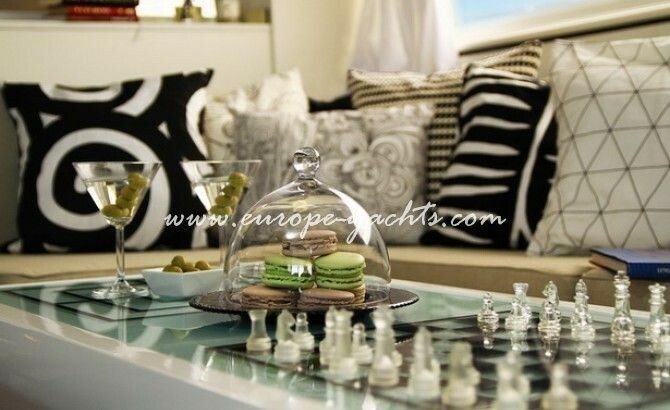 Half board (breakfast + lunch): 330 EUR/person per week. 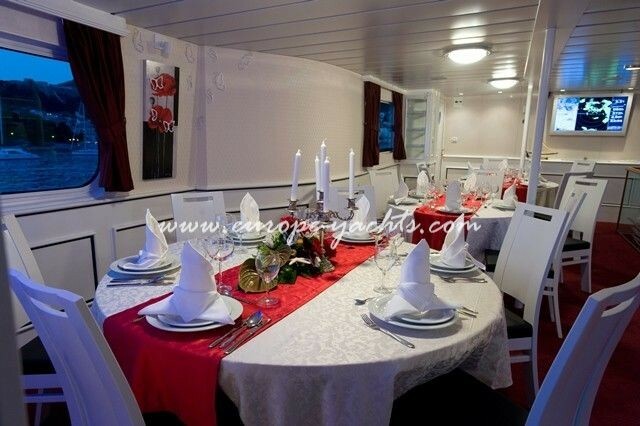 Full board (breakfast + 2 meals per day): 450 EUR/person per week. 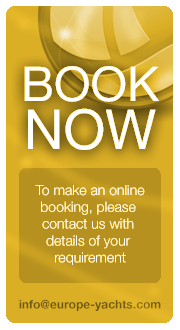 50% discount for children under 12 years, babies 0-2 free of charge. 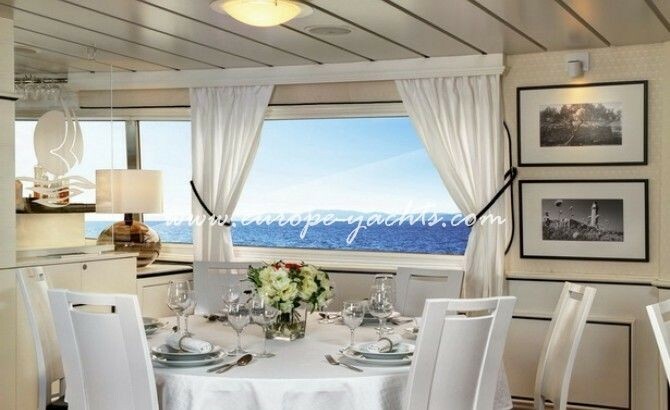 Drinks and beverages (alcoholic drinks, soft drinks, juices, water, milk, coffee, tea and similar) are not included in food prices and must be taken at the boat bar and paid according to consummation on the last day of cruising. 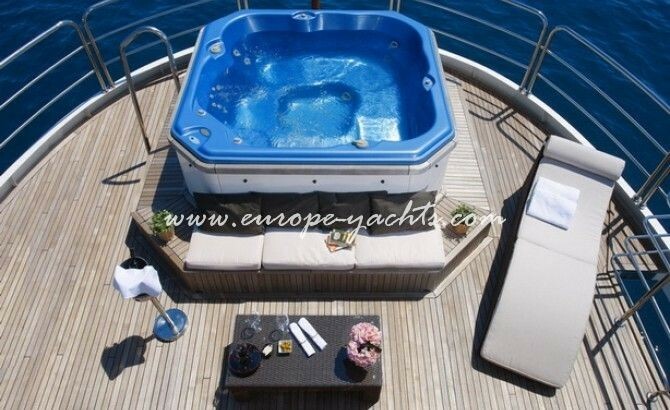 It is not allowed to bring the own drinks/beverages on the boat. 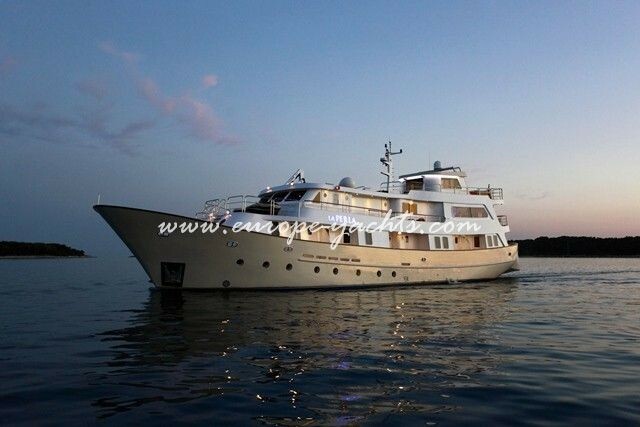 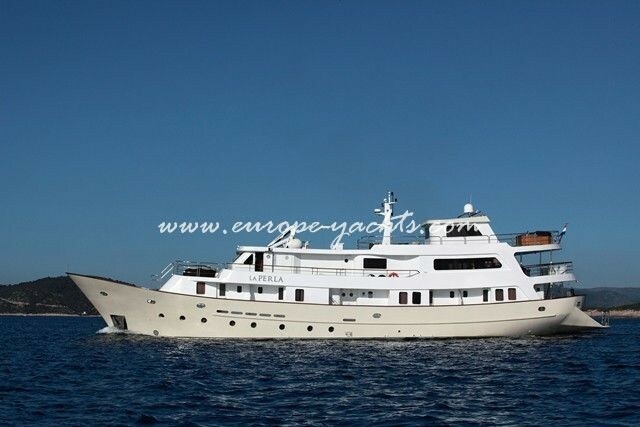 ACCOMMODATION PRICE INCLUDES: week accommodation on the luxury cruiser La Perla, crew service (8 crew members), fuel for 110 nautical miles (i.e. 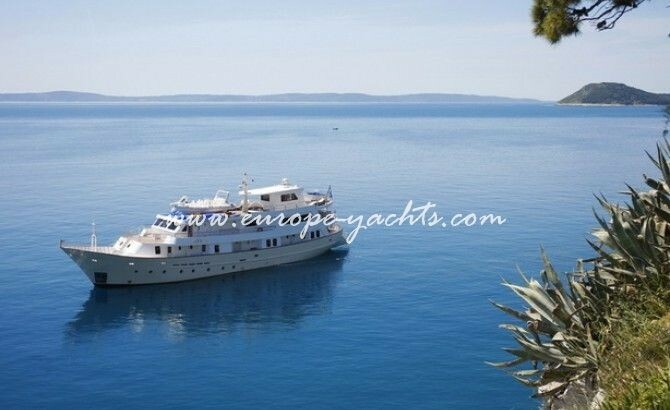 extra 11 nautical miles costs 250 €), tender, Croatian VAT, laundry, towels, final cleaning, use of canoe and snorkel equipment. 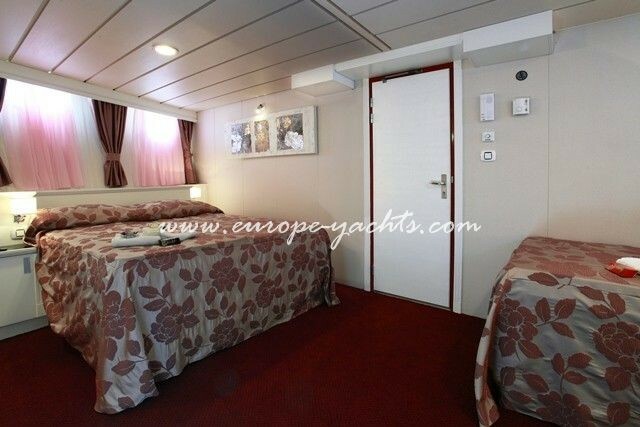 ACCOMMODATION PRICE DOES NOT INCLUDE: food,drinks and beverages, additional meals, personal expenses, water sports (waterski, wakeboard, banana, donut) 130,00 Eur/ hour, one way cruise, embark and disembark out of the base port, tickets to National park, tips for the crew. 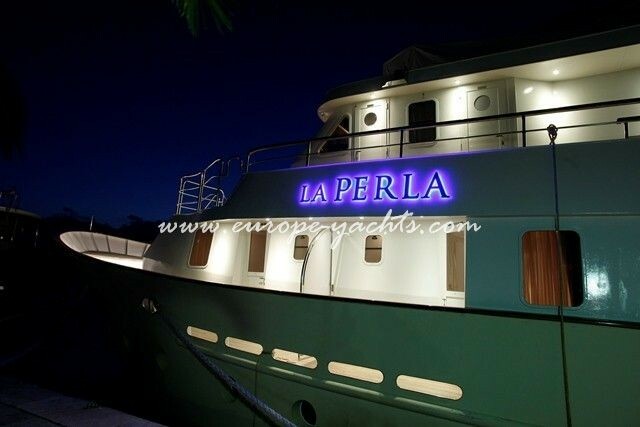 POSSIBLE EXTRA COSTS ONLY ON GUESTS’ DEMAND: land transfer to/from the luxury cruiser La Perla, embark and disembark in any other port out of the base port, one way cruise. 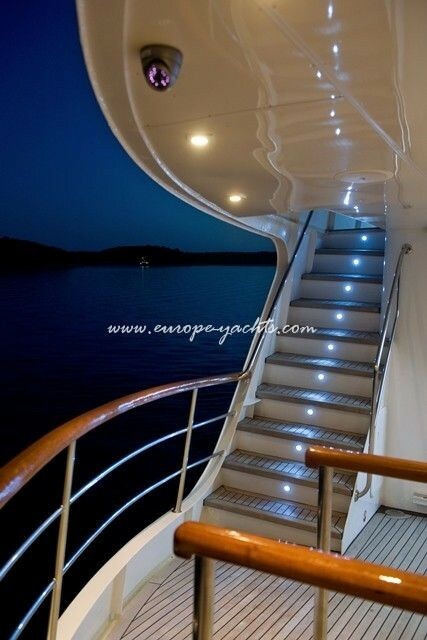 50% ADVANCE payment – upon reservation. 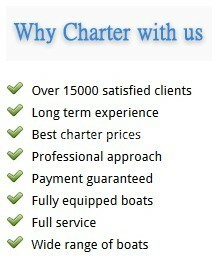 50% BALANCE payment + obligatory extras- 5 weeks before charter period.